« Trousers ‘El Americano’, indigo corduroy, duck canvas, stripe covert. MFSC Fall 2013 final chapter. 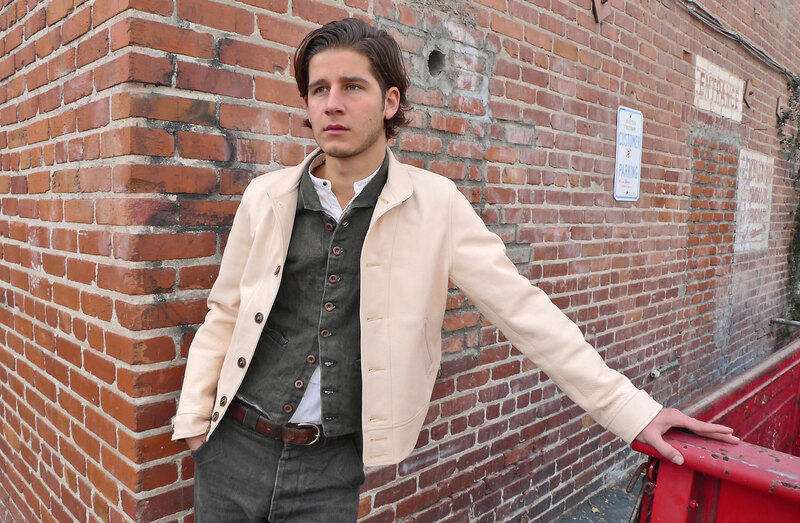 Closely following the career of Justin Bieber, I have decided to make a 1930’s style leather jacket of absolute no interest to him. 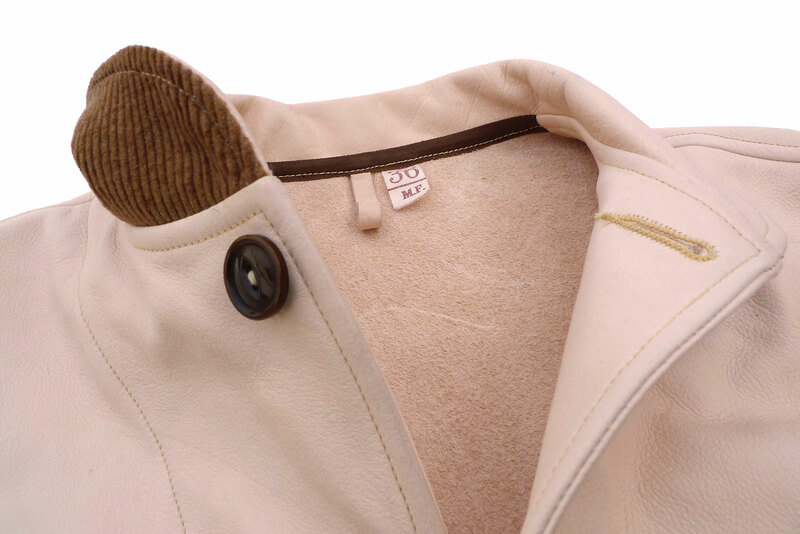 If we usually do not claim to have come up with the perfect garment, this time… is no exception. However, I’ll still share the American saga that started sometime in early 2012, to end a few weeks short of Christmas 2013. 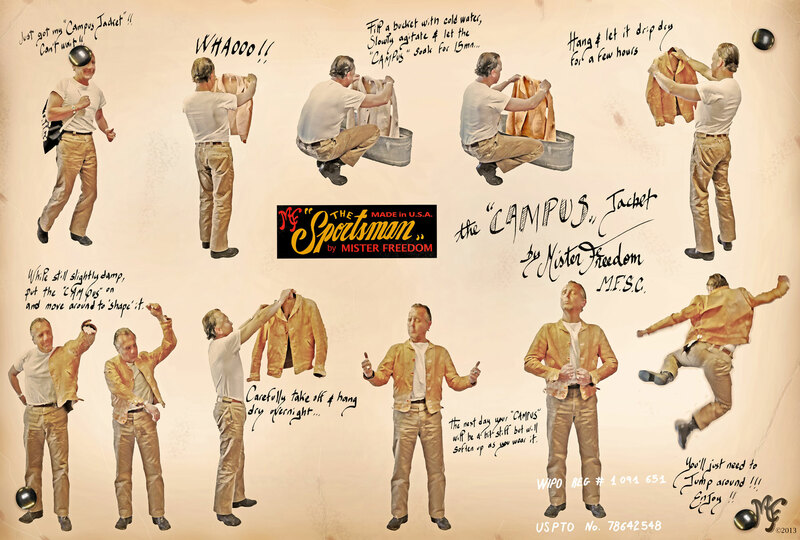 Thanks to the hard work of many, here is our “CAMPUS” jacket today, an addition to our staple Mister Freedom® ‘The Sportsman’ catalog. 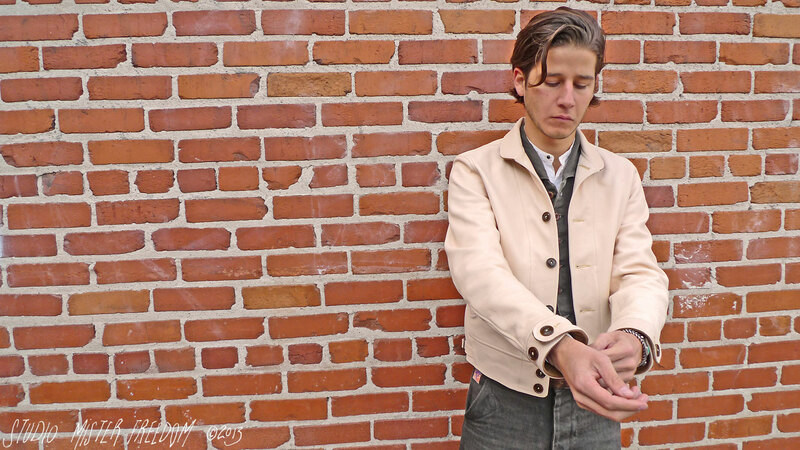 This jacket comes somewhat as a Do-It-Yourself kit. Not that what you’re getting is a cow with thread and needle, along with instructions in 12 languages starting with “Carefully insert A, you fun have is go now. Yes? Welcome” on page 1. 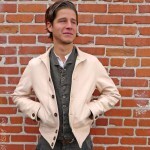 But rather in the sense that our CAMPUS leather jacket is a blank canvas for you to colorize. 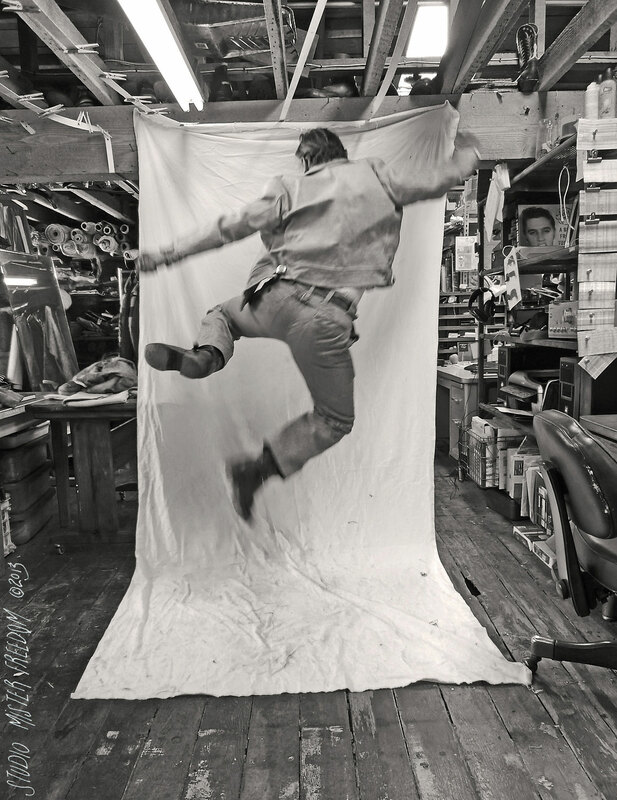 By acknowledging the work and efforts that go into manufacturing a garment, by being aware of the challenges, one should naturally acquire a certain respect for things man-made. We hope to send this simple message by creating a connection with this DIY garment and its owner. To do so, we opted for a leather with an untreated natural looking finish, somewhat of a ‘raw’ state that will start to age and become one with the wearer the moment the garment is removed from its packaging, namely a cool re-usable selvedge denim printed bag. 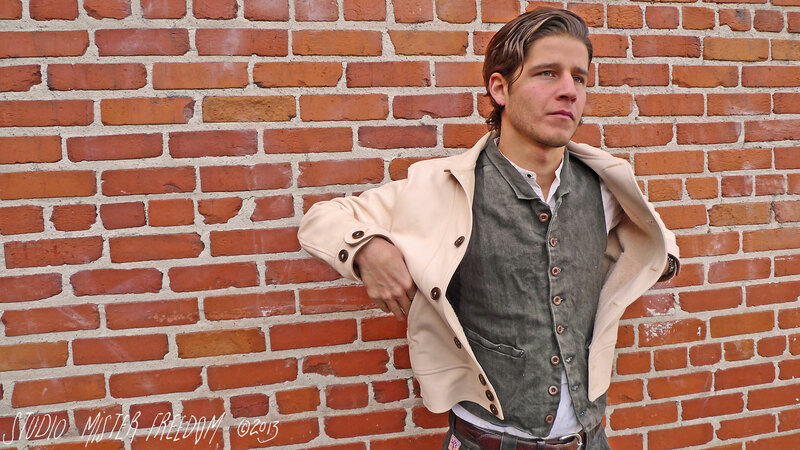 Our CAMPUS is a Mister Freedom® interpretation of traditional 1930’s ‘Cossack’ type jackets. Originally, the term ‘Cossack’ might have referred to the versatile collar shape that allowed to be flipped up to a military style Nehru collar… For all I know, it might as well be referring to a Mrs. Cossack, fierce week-end seamstress, who first came up with a short unlined leather jacket with a round collar for her stylish hubby… As always, don’t quote me on anything. 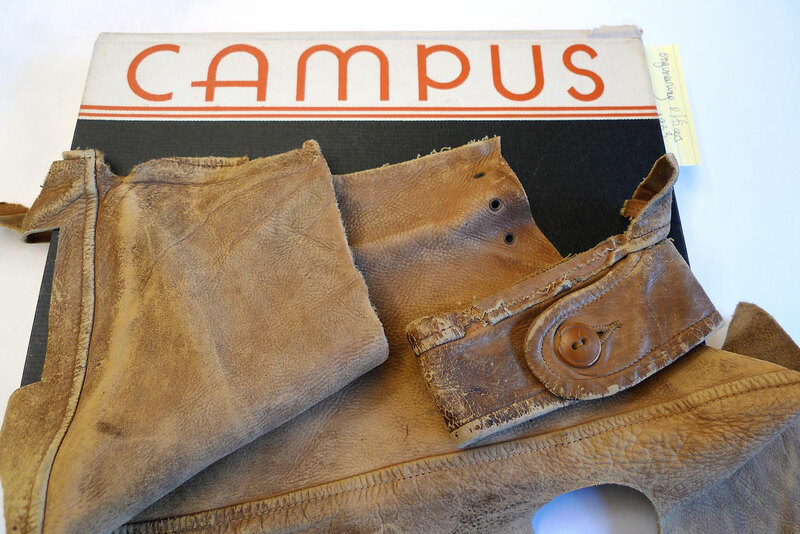 What I do know is why we called our jacket the “CAMPUS”: flipping through a 1933 Pasadena Junior College year book entitled ‘Campus’, I noticed that that style of jacket was on many of the students’ backs. 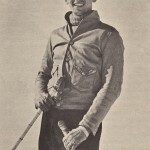 Some jackets appeared to be suede, some full-grain leather, most with A-1 type patch pockets… but all with the consistent typical ‘Cossack’ style, short with round collar. 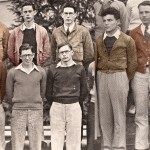 Times when Charles Lindbergh was hip. 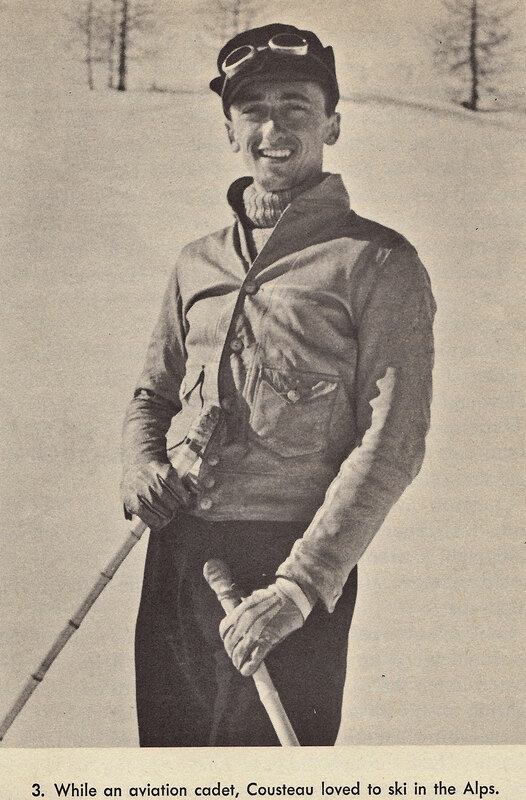 And Jacques Cousteau a hipster. I remember owning a similar jacket in the early 1990’s. Found in a thrift store for a few bucks, I remember it having a beautiful patina but fitting a tight in the arms. So I, of course, immediately thought of cutting the sleeves off… I am not sure where the body is today, but I know I kept the sleeves, having recently found them in a pile of leather scraps at work. 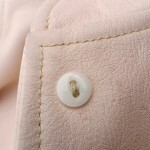 We also opted for poly-cotton thread this time, having seen too many vintage leather jackets with busted out seams. I opted for a light weight vegetable tanned full grain milled cow hide, untreated natural finish, origin USA. Each hide was carefully selected by hand, many rejected, a fun process. 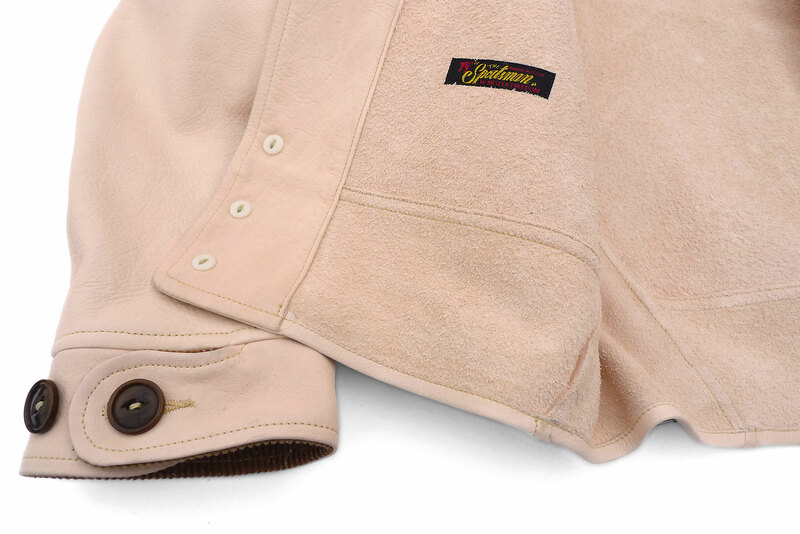 Within the same grade, there were no two alike, resulting in each CAMPUS jacket having its own character, specificity, feel and natural ‘imperfections’. Extremely light sensitive, pretty much like the (usually) unexposed parts of your own skin, this natural hide will start ‘tanning’ when exposed to the sunlight. 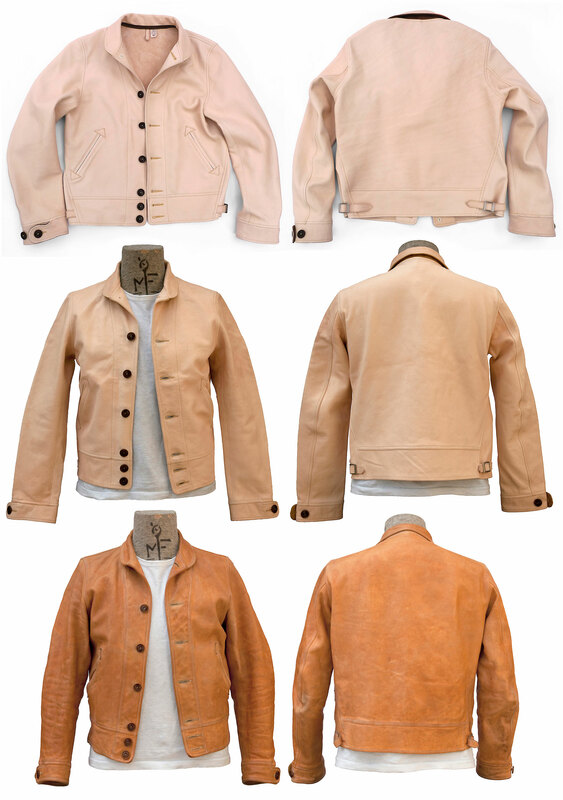 Originally of a white pinkish color, this leather will turn quite orange when worn/left in the sun for a few days. THIS IS NORMAL, and expected. Unless you are Batman, the CAMPUS will change color as you wear it outside. Expect stains, water marks, natural grease, scratches, patina and creases if you are planning on taking it out of the closet where it doesn’t belong. 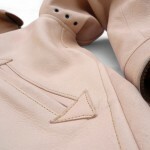 All this adds to the character of a leather garment, and is the reason why they are referred to as ‘second skin’. 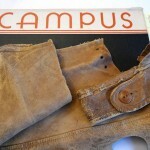 We are offering the Campus in pure new condition, not ‘factory distressed’. 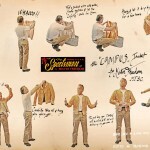 The jacket’s journey will be yours and each nick a memory. The evolution photo with the three stages is for reference only, results will depend on how you wear your Campus, how often and your type of activities. I once had in my hands a NOS 1930’s ‘Cossack’ leather jacket, original tags and all, featuring a printed paper sticker affixed to the flesh side of the hide. The sticker claimed the garment was “HAND WASHABLE with Castile Soap”. Now. We have experienced soaking the CAMPUS in cold water, spin dry, line dry, worn briefly to shape, as demonstrated in this silly cartoon. 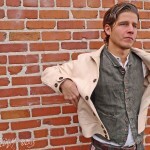 It is much safer to wear the jacket and let natural patina happen over time. 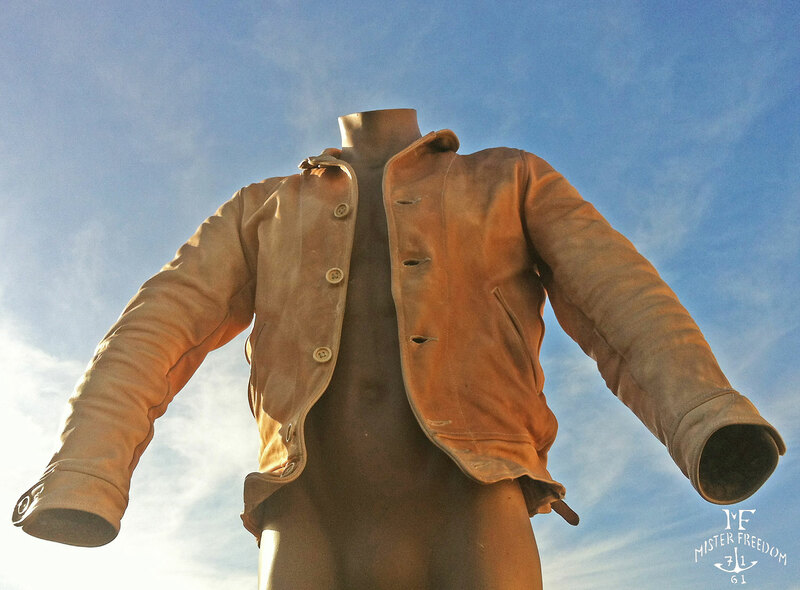 For the adventurous type however, putting the CAMPUS jacket on a bust form outside and letting it tan for a while can have interesting results. Avoid large seagull populated areas. Also make sure to periodically move it around so that the sun tan looks natural, avoiding crisp lines. Anyone who ever woke up on a beach at noon will understand. 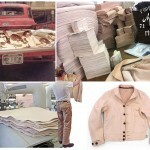 After the hides were selected, bought and dropped at the factory, the cutting began. 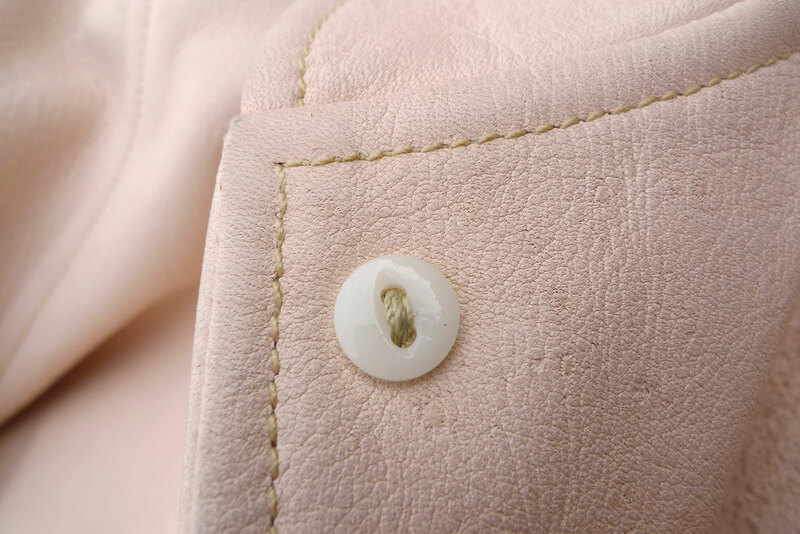 The unfinished jacket were taken to yet another place to have keyhole type button holes added, instead of the more modern looking bound button hole construction. 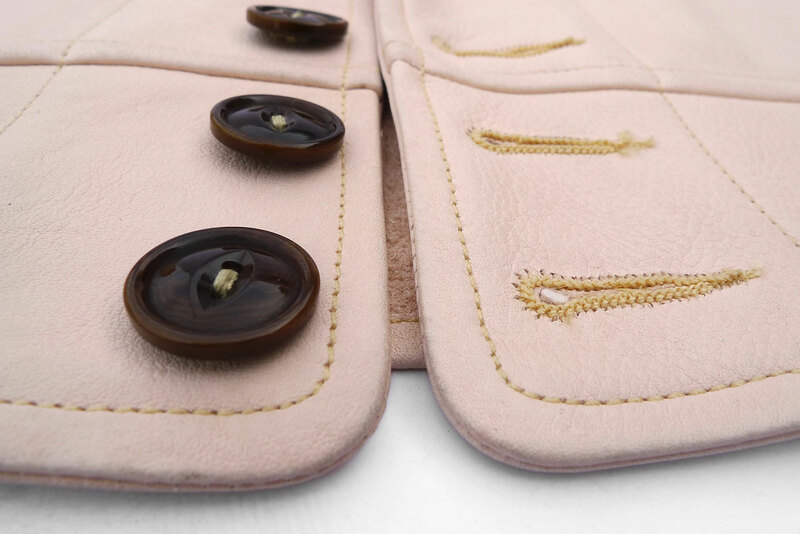 The ultimate trip was to MF® atelier (a fancy word for our in-store sweat shop) where the buttons were patiently hand stitched, one by one. Besides a long delay from the start due to difficulties sourcing all the required hides, I am happy – and relieved – to say that everything else went as planned. If at any stage something could have gone very wrong, everyone involved did an amazing job to prevent FUBAR status. Designed by Mister Freedom® and made in California, US of A. 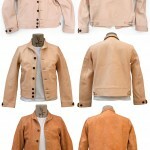 PATTERN: An original pattern inspired by a Mrs. Cossack, and 1930’s sportswear type light leather jackets. 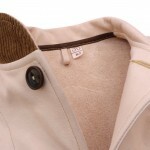 * Fully unlined, clean seams. * Slash pockets with arrow stops. 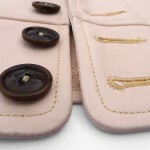 * Corrozo ‘Cat Eyes’ wood buttons (aka ivory nut), backed by NOS French 1920’s glass buttons. 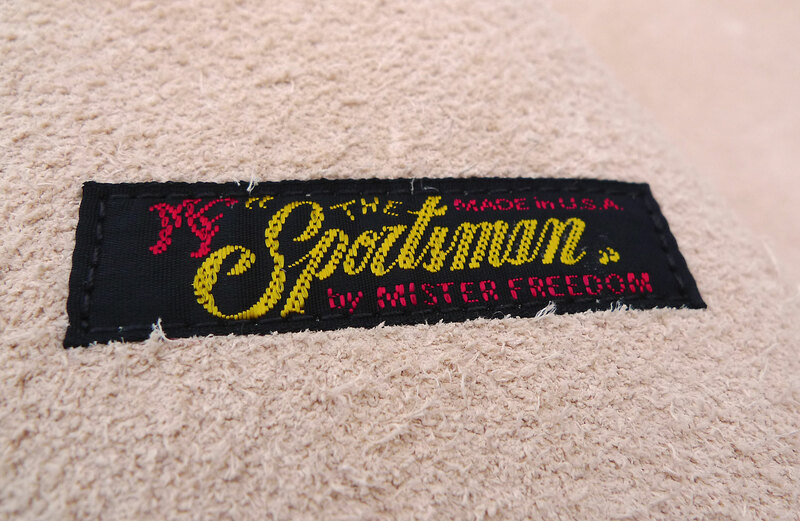 * Mister Freedom® ‘The Sportsman’ woven label behind the slash pocket, right front panel. * High stitch-count, sturdy poly-cotton thread stitching. 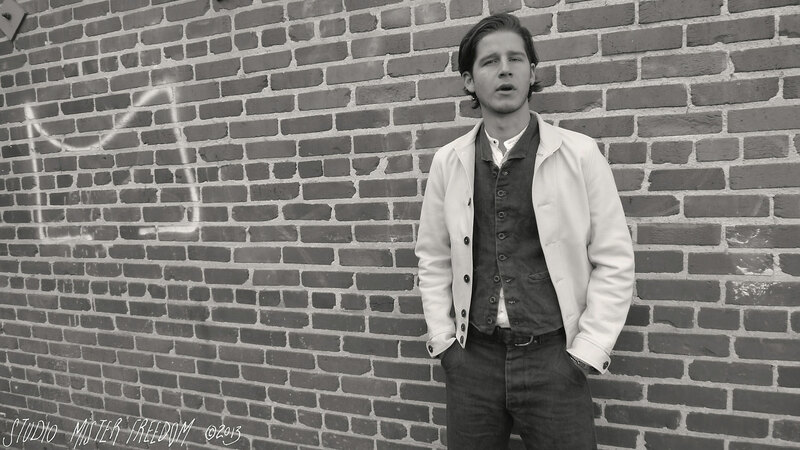 * Made in California, USA with American cowhides. 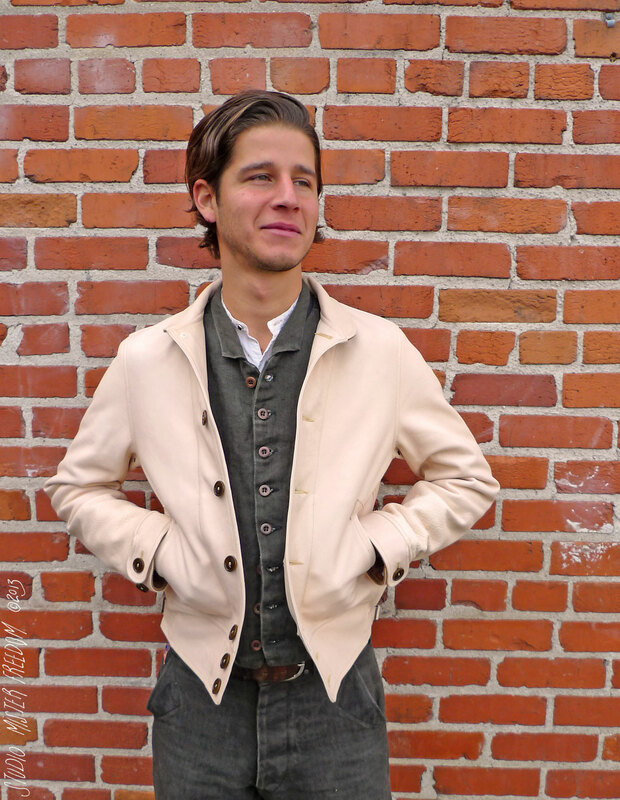 Because of its weight on the light side for a leather jacket, I wanted a slim and quite snug fit, reminiscent of the original 1930’s silhouettes. 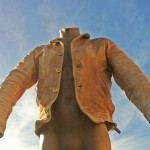 This leather jacket is easily wearable during California summer evenings, with a light shirt or T-shirt. Besides the easy blue jeans/Ts, I like the more elegant white shirt/tie look with it as well. I am usually a 38 in mfsc jackets and I am a 38 in the CAMPUS, with room for a lightweight shirt underneath. 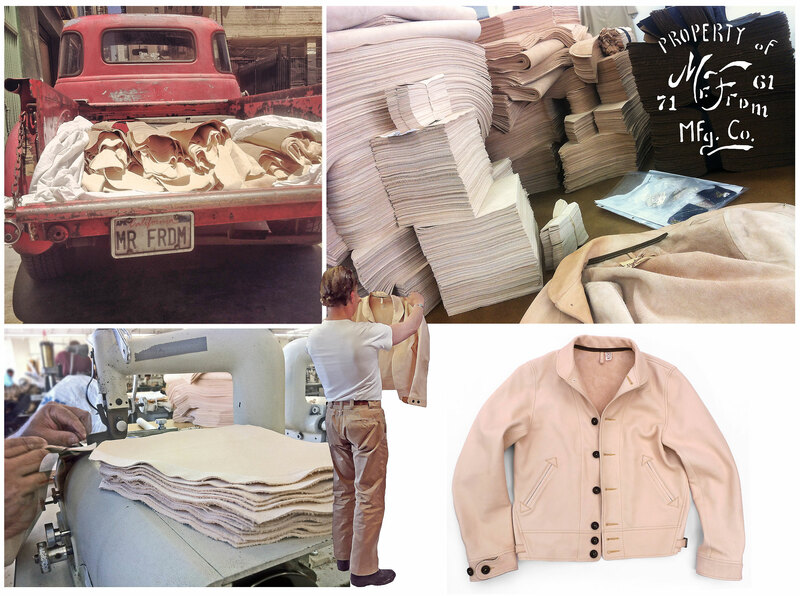 Tom is wearing a 36 on the photos, his usual size in MF® jackets. Tom, however, does not eat calzones. 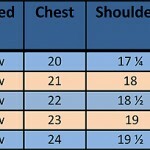 Please refer to sizing chart for approximate measurements. We recommend you leave you CAMPUS as-is and just wear it. 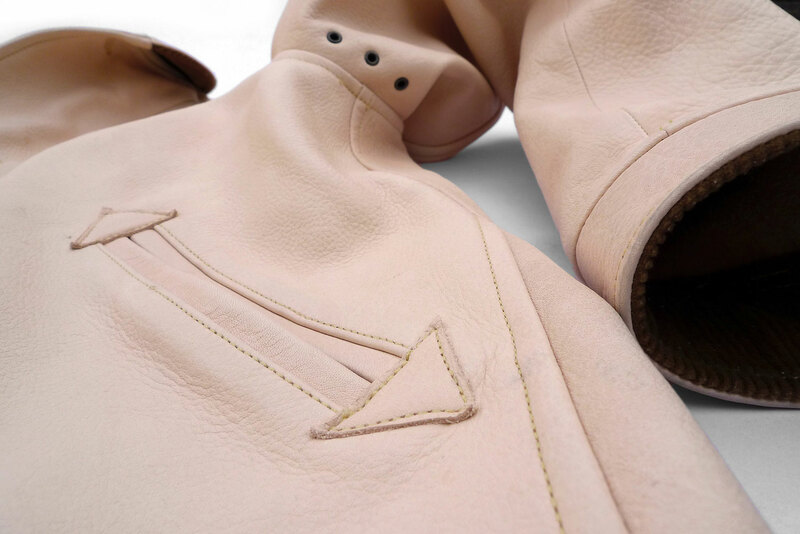 Because of its original light natural color that will darken over time, it is prone to get soiled, water marked etc… This is part of the tough life of a leather jacket, your second skin. 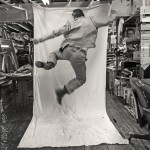 Just for info, Dr. Bronner’s Castile soap is used by some pro tack shops to clean leather, at your own risk. 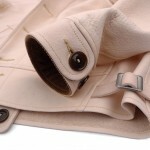 Pecard also offers quality leather dressing. 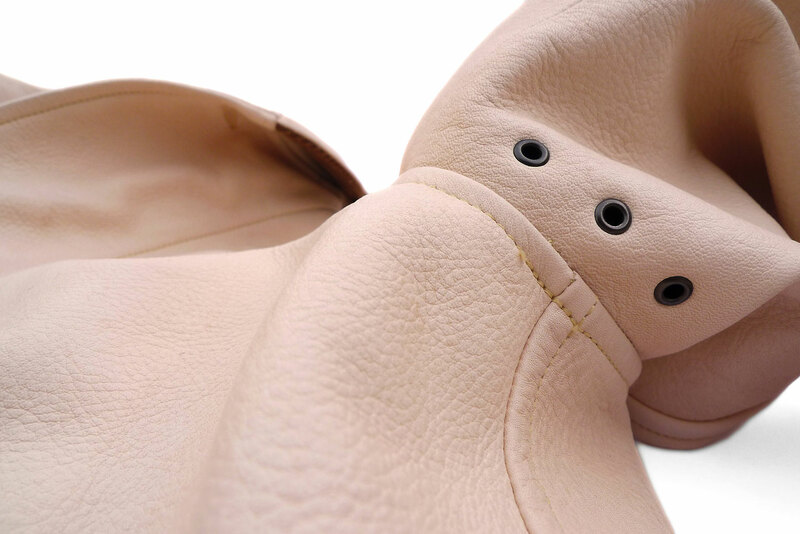 Please be aware that almost anything applied to light colored leather will alter its color. What ‘works’ on boots is not what you put on a saddle (if you want to stay on it), and definitely not made for clothing. 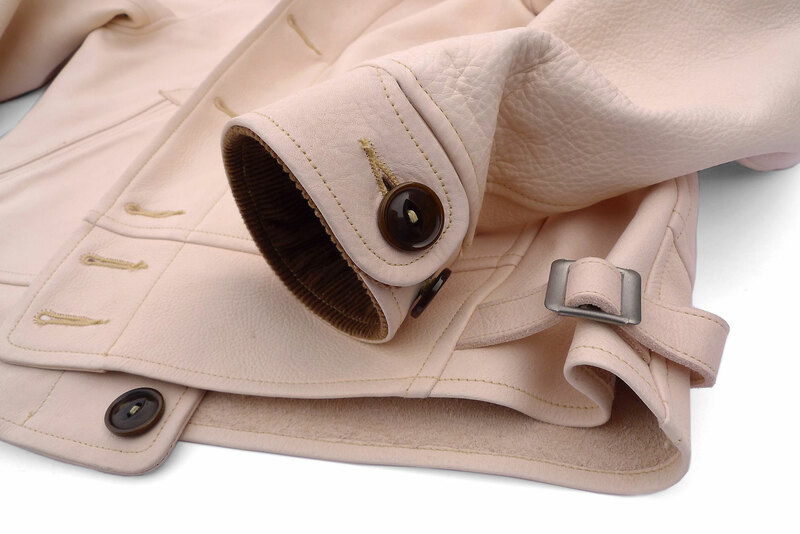 Seek the help of a professional leather cleaner should staining occur that you cannot live with. Note that some shedding of the leather ‘flesh’ side may occur for a while and leave (brush-able) flecks visible on dark shirts or waistcoats. 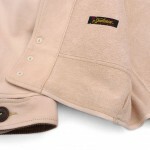 I have tested the corduroy ‘El Americano’ waistcoat with the Campus… once. 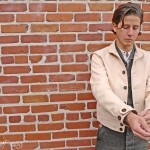 This shedding should settle after a certain period of wearing the jacket. 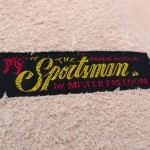 Available on www.misterfreedom.com , at our brick and mortar in Hollywood, CA., and at a few selected fine boutiques around the World. Please call 323-653-2014 or email sales@misterfreedom.com with any questions not answered above.